Does it surprise you to learn that aromas can heal? That they can change the morning blues to a morning in rouge? That they can reverse dementia and boost your sexuality? But did you know that producers of aromas can use the power of fragrances to take advantage of consumers? The aroma of fresh coffee in the morning kicks the morning blues better than anything else I know of, much, much better than the actual taste. New scientific studies show that aromatherapy is hugely beneficial, but the same olfactory bulb (just above the nose) that can be used to heal us can also be easily fooled by the chemical industry to make us buy unhealthy fragrances such as found in perfumes, air fresheners and other poisons. They make softeners and hair conditioners that get us hooked, detergents that correlate to anxiety, and dementia and allergies to name a few. The olfactory system is complex, with approximately 5% of our DNA dedicated to it, that’s a lot of DNA for such an underestimated sense. We can detect a trillion different combinations. The Environmental Working Group (EWG) (a great American group of scientists and laymen bugging and poking the industry), reports that while many popular perfumes, colognes and body sprays contain trace amounts of natural essences that unlock receptors in our brains, they also contain a dozen or more potentially hazardous synthetic chemicals that we can’t protect ourselves from once the natural aromas ‘open the receptor’. To protect trade secrets, makers are allowed to withhold the ingredients in fragrances so consumers can’t rely on labels to know what hazards may lurk inside that newest bottle of perfume. You have to feel and trust your body, not the producers. After some 20 years in the health business, we just opt out and don’t use any unnatural chemicals. We have become tired of trying to find the logic behind the products, because the only logic is profit. It’s impossible to keep up with all the new chemicals the producers launch like rockets, and lately more than ever babies and kids are the target groups. Perfumes, creams, scented paper, crayons and what not, are the weapons. If it’s not organic (natural) I just don’t use it. Why do we need to smell like roses anyway? As mush as you possibly can, we suggest you use natural aromas, cosmetics, soaps, air fresheners and other products. Specially if you suffer from anxiety, allergies or any health issues. Use natural scents to change your mood, up or down, but you have to smell with awareness and never use fragrances that require burning. Nothing carbonized is good. Clear your nose with a few deep breaths, then raise your awareness. Put the aroma close to your nose and inhale slowly, carefully and deeply. Inhale three times, and then feel and allow the chemistry in your brain to act. Do more if you want, in any case it’s healthy. The complex smell of Rosemary can beat dementia. Bergamot for anxiety, Ginger for asthma, etc. To wake up or get rid of the morning blues, try freshly ground Coffee. It is also shown to be a great anti-depressant. Awaken your attention with Peppermint, Eucalyptus or citruses like Lemon or Lime. Jasmine, Lavender or Bergamot calms most people down and is perfect for beating insomnia or anxiety. Most of them simply make us feel good. I love enhancing smells like eucalyptus before sleep but that’s just me. Try what works for you, practically all essential oils are healthy and OK. Some can be used on the skin too, whereas others might burn. You just have to google, ask around and try it out. My experience is also that we need to try new smells now and then. Hot climates need cooling smells, cold climates warming and so on. 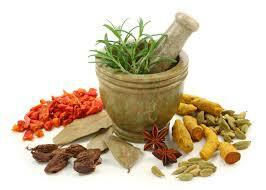 Aromatherapy has been used for ages in ancient medicine and in particular in Ayurveda. The smell is the only sense that is directly connected to memory. We have all sensed a certain fragrance pass by and were suddenly taken to a memory that could be many years old. Biologist believe this feature of smell is quick in cases we might need to run, fight, reproduce, eat or perform any other evolutionary survival acts. The other senses are processed in the mind first, where they get scrutinized and analyzed by knowledge we have acquired through our cultures. “Because the only logic is profit” wow. Love how you are embracing the darkness and power of essential oils – my family is 100% pure on your side. Powerful responses and better life since adopting too!